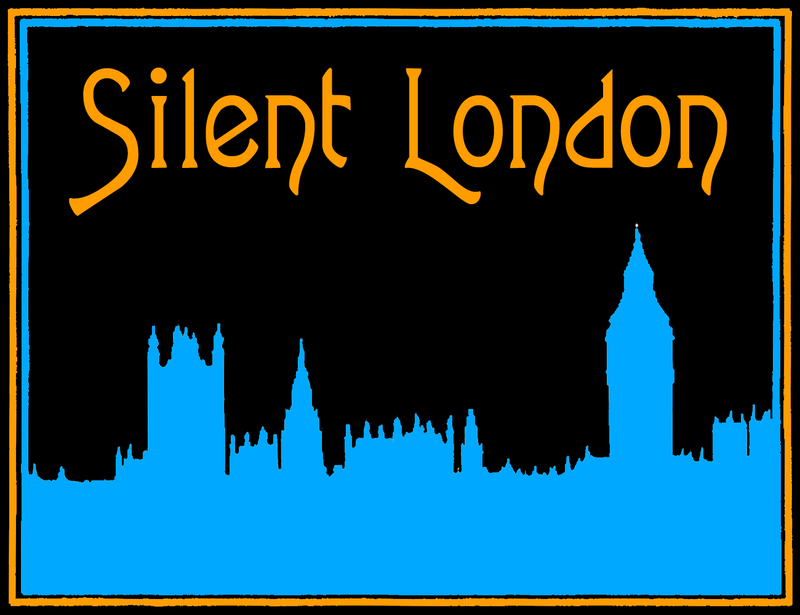 This is a guest post for Silent London by the Lumière Sisters, a collective of writers who hang out over at the Chiseler. The Victorians were falling away. And with them a withered system of reality embodied in overwrought virtuoso performances. Technique as a means of reflecting Nature – or, to quote Balzac, the “conjugation of objects with light” – was displaced, uncrowned by painters pursuing a darker mirror, a diabolical truth for smashing the mendacity of a bloodless representational art. It was finally time for Edgar Allan Poe’s crepuscular light to shine. Not solely via accepted modes but written alchemically in cinematographic rays beamed through silver salts. Filmmaking is the darkest and unholiest of arts (done right, that is), and the director was emerging now – supreme pimp to a coterie of fallen angels, nymphs and sirens. Modernism began materialising, slowly and unevenly at first, as an answer to 19th-century illusionism. The rank trickery of which academic art’s heroes lay dead and dying – granting Poe a new, posthumous plasticity to actualise delirium, converting it from literature into an art… art worthy of the name. And here, the “Decadents” became forerunners. Consider Surrealism, its nose-dive into the gulf of interiority, as a bequest from Poe – via his greatest interpreter. In Odilon Redon’s Germination (1879), a wan, baleful, free-floating arabesque of heads of indeterminate gender suggests either a linear, ascending involution, or a terrifying descent from an unlit celestial void into a bottomless pit of an all-too-human, devolving identity. Redon’s disembodied heads gradually take on more human characteristics, culminating into a black haloed portrait in profile. The cosmos of Redon’s etching is governed by an unexplained, inexplicable moral sentience, which absorbs the power of conventional light. Thus black is responsible for building its essential form, while glimmers of white, hovering above and below, prove ever elusive; registering as somehow elsewhere, beyond the otherwise tenebrous unity of the picture plane; adding to the depth of its unsettling dimensions. Photogenesis – this 19th-century dream that a visage might emit starlight – is frantically reawakened with the advent of silent cinema; and with it, a manic new notion of thespic truth: acting is how you respond to light, and how light responds to you. The cinematograph makes from the blackest shadow a piece of midnight come adrift in the day, thanks to nitrate and its twinkling mineral essence, aggrandized by carbon-arc projection in post-Victorian movie palaces. As if Redon’s Germination, an explicit tribute to Poe, were suddenly and wrenchingly enslaved to an industrialized modern pace. Early cinema introduced audiences to magic mirrors; celestial mandalas; a sinuous puppet rising like a malign concertina from a well. Giant eggs, butterfly women: the early stirrings of what surrealist impresario Andre Breton would later demand: “Beauty will be CONVULSIVE or will not be at all!” But it was cinema’s first moral philosopher that gave us a direct translation of Edgar Allan Poe’s world, and he started with a primary assumption about human beings. Our emotions are shackled to light. In The Fall of the House of Usher (1928), dramaturgy becomes séance. An adaptation built on ether with set designs keyed to non-corporeal forms. Roderick Usher is an idea – half-painter, half spirit-medium, both addled and both seeking Madeline. The unacceptable loss of his “other half” gnaws at the now febrile, now despairing heart of this dream imbroglio. A pair of spooked eyes projects mournful incandescence onto the world. Virtually every POV belongs to the protagonist, even before he’s introduced. It’s a panicky moment indeed when we realize that we’re looking through the eyes of a disembodied presence. Vast (vast!) interiors grow more expansive than the landscape surrounding Castle Usher. Tormented trees scratch at the sky. Fornicating toads guard Madeline’s tomb, an owl dematerializes. And Roderick’s outsized jellied orbs can’t help reading Truth in these things – even the wind is incantatory, ringing like mystic speech to him. Meanwhile, Epstein’s lens pursues its own weightless agenda: “to photograph the human angel”. What a florid, overly-written faux-atmospheric editorial. Every other word was an adjective – that’s just bad, immature writing. This was a real chore to get through. “Thus black is responsible for building its essential form, while glimmers of white, hovering above and below, prove ever elusive; registering as somehow elsewhere, beyond the otherwise tenebrous unity of the picture plane; adding to the depth of its unsettling dimensions.” Wow. Thanks for providing “maturity” as you define it.